Dentist OPEN 9.00 to 18.00 / 7 Days for Emergency Appointments. We have produced countless beautiful smiles with cosmetic dentistry. At Design Dental we strive to exceed your expectations in a relaxed and caring atmosphere to create the smile of your dreams. We understand the anxiety that comes with visiting a dentist. Our team at Design Dental will ensure that your visit is stress free and comfortable. We listen to all your concerns and tailor our treatment to your individual needs. We provide informative consultations as well as in depth advice before, during and after treatment. We are aware that sometimes patients need help with payment of their dental treatments, and here at Design Dental we offer payment plans to suit your needs. If for any reason you are unsatisfied with the outcome of your care, then we keep working until you are happy…it’s that simple! Guilt-Free Dental Care – we never lecture you or make you feel guilty. Your comfort and understanding are # 1 on our list. Practically Pain Free Dentistry For the Entire Family – We do EVERYTHING possible, including “sleep dentistry,” to make sure you don’t feel a thing!!! Multi-specialty Services – We provide Testing and Treatment of Oral Bacterial Inflammation, Migraine and Headache, Snoring and Sleep Apnea. At Design Dental, our dentists in Quakers Hill understand this data echoes with the suggested National Oral Health Plan by the ADA (Australian Dental Association). But how knowledgeable are you about your dental health? How well are you aware of the warnings of teeth enamel erosion? Are you conscious about the simple daily habits that can hurt your teeth? Are you informed about the fact that dried fruits are as harmful as candies and lollies? After how much time should you clean your teeth after having coffee or wine? On ADA website’s “Your Dental Health” page, you will find basics of good oral care. It consists of brushing at least two times a day, finding and visiting a dentist for a general or special check-up among others. Today, you can get treatment or prescription for almost every dental issue. Whether it’s a gum disease, misaligned teeth or a cosmetic issue, our dentists in Quakers Hill are here to assist you. 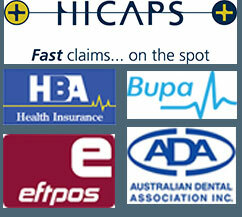 Our dentists in Quakers Hill aren’t just content with the honorable degrees they have achieved. They are proactive and prefer continuing education and stay up to date with the latest technology in the dentistry field. Our dentists in Green Valley treat every patient as a unique individual. Our top priority is to know you personally – your oral habits and daily lifestyle before proposing the right treatment. We are sure you will feel welcomed and comfortable right from the moment you step into our clinic. Besides, we offer affordable dentistry for your whole family. We welcome most insurance plans. You read it right. Our dentists in Busby won’t indulge in giving you a lecture about how bad your oral habits have been thus far. Your comfort is our top priority. We do our best to ensure your dental treatment is as pain free as possible. We make effective use of sleep dentistry to make it practically pain free. We take pride in offering our patients the best care in the dental industry. Visit our dentists in Quakers Hill to get back your happy smile and healthy teeth. You should have your teeth checked and cleaned at least twice a year, though your dentist in Quakers Hill or hygienist may recommend more frequent visits. Regular dental cleaning and exams are essential in preventing dental problems and maintaining the health of your teeth and gums. At these visits, your teeth are cleaned and checked for cavities. Can My Dentist In Quakers Hill Help Rid My Bad Breath? Sure! If you have persistent bad breath, don’t simply reach for a stick of gum and ignore it. See your dentist for a discussion about your oral hygiene habits and your health. What’s The Best Type of Tooth Brush? There are many tooth brushes to choose from, and a lot of it is based on your personal preference. Start by choosing a soft-bristled tooth brush. When choosing the size and shape of your tooth brush, make sure it fits inside your mouth and allows you to easily reach all areas of your mouth. Our dentists in Quakers Hill discourage using medium and hard bristle toothbrushes because they’re too stiff to be effective and they can irritate your gums. How Can I Prevent Cavities And Tooth Decay? There are many reasons based on your daily habits and oral hygiene. The most common include aging and consumption of staining substances such as coffee, tea, colas, tobacco, red wine, etc. During tooth formation, consumption of antibiotics, certain antibiotics or excessive fluoride may also cause tooth discoloration.